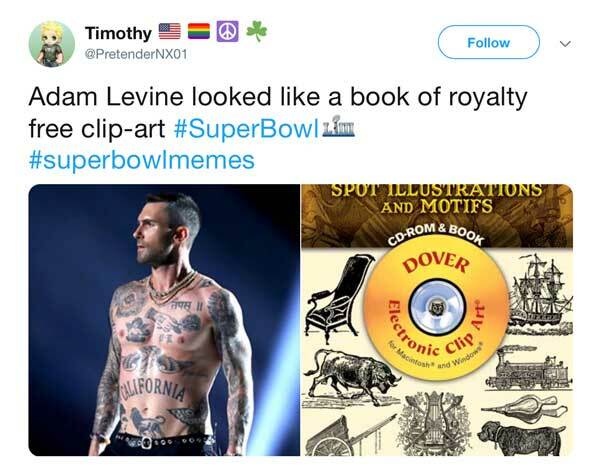 The Super Bowl halftime show this year brought on a lot of opinions on Adam Levine’s dancing. 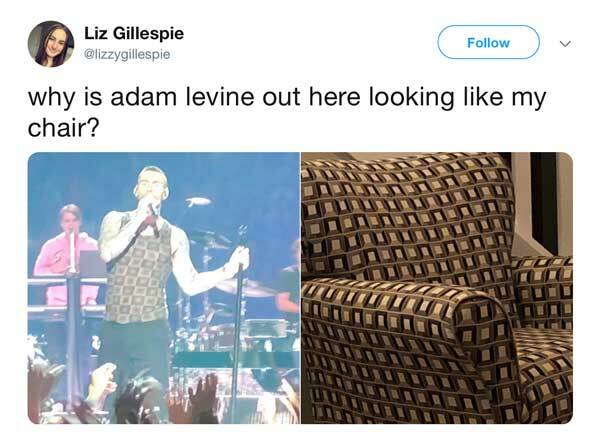 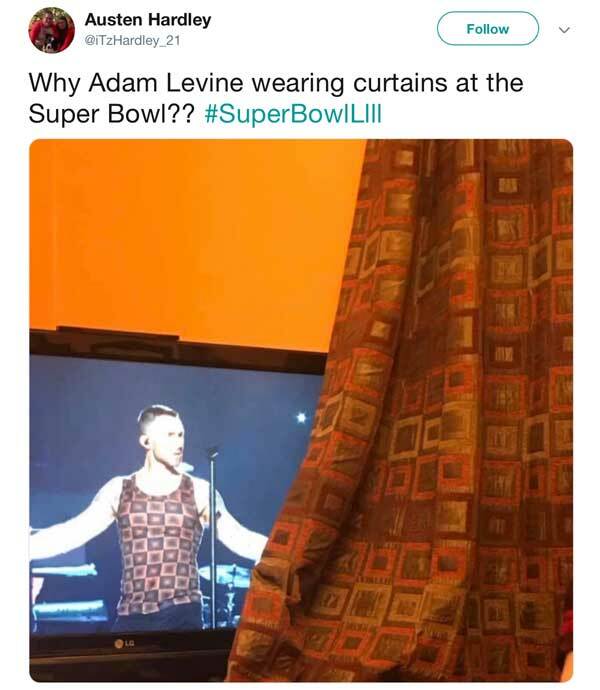 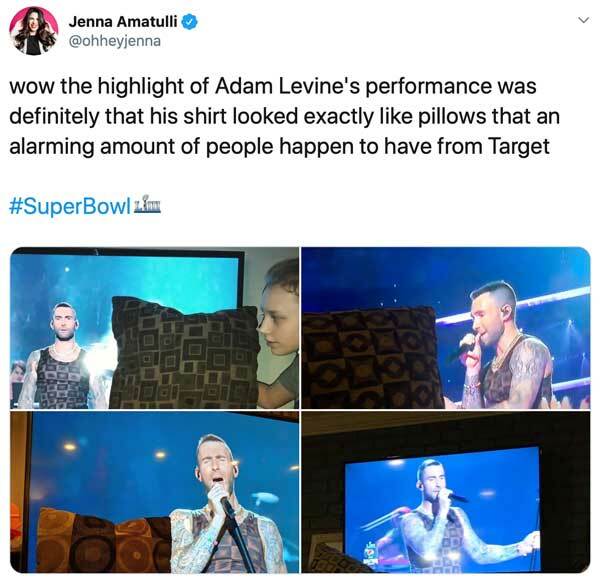 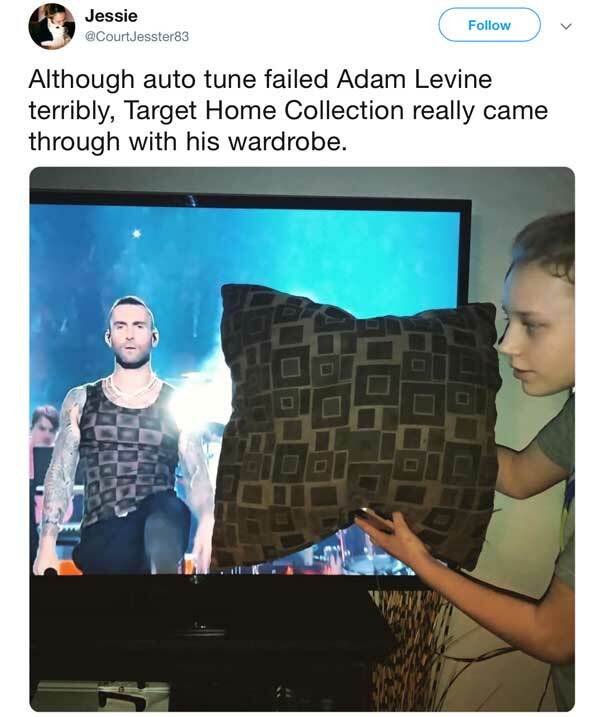 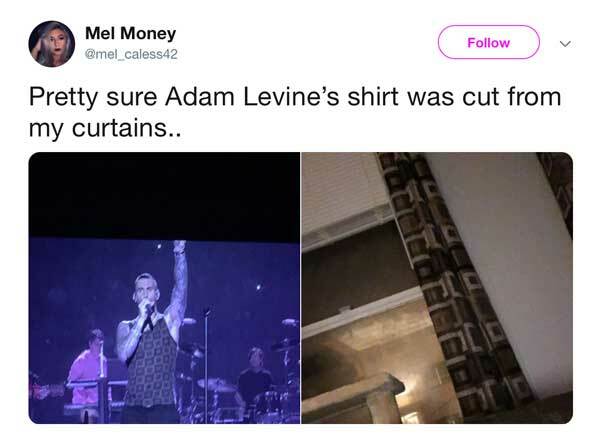 One thing people also noticed about the show was how much Levine’s shirt looked like home items everyone seemed to have. 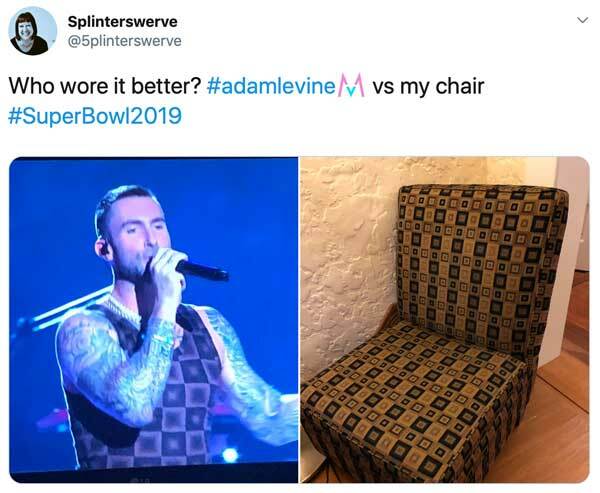 #4 This chair as well. 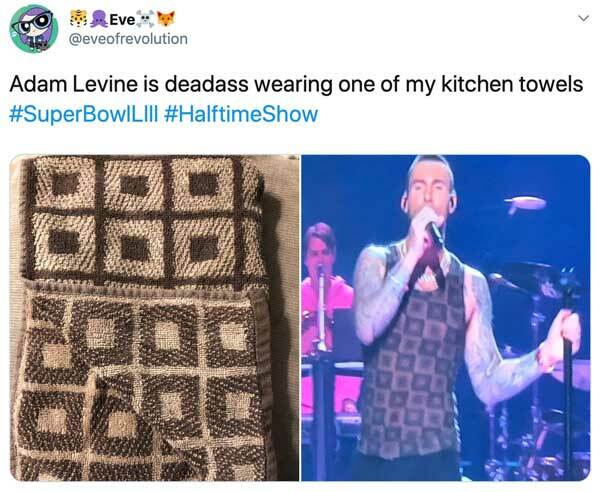 #5 It even matches with this set of kitchen towels. 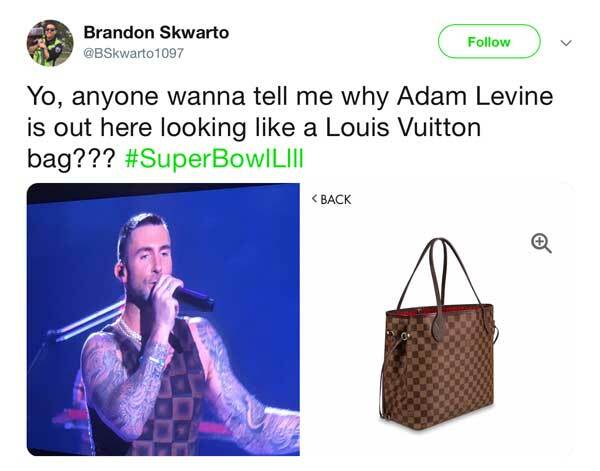 #6 He also got compared to a Louis Vuitton Bag. 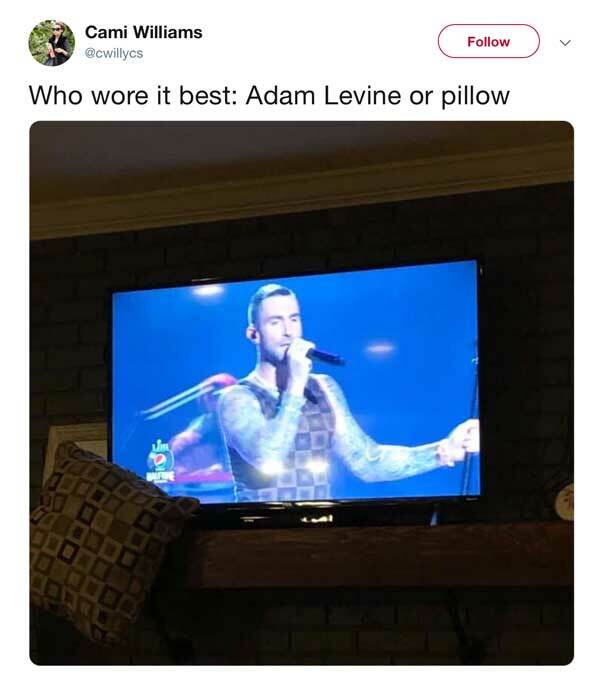 #7 However, pillow comparisons were a constant. 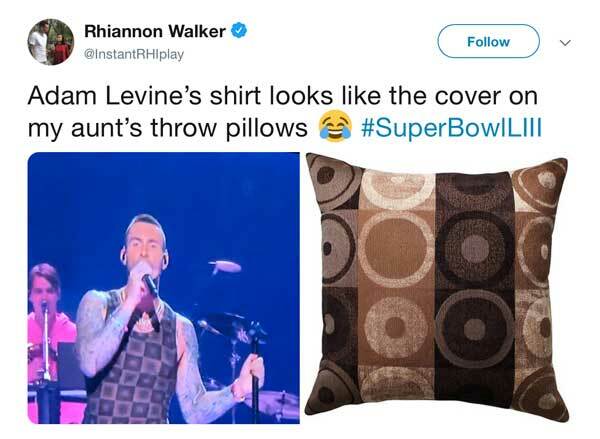 #8 Everyone seems to have a pillow like that. 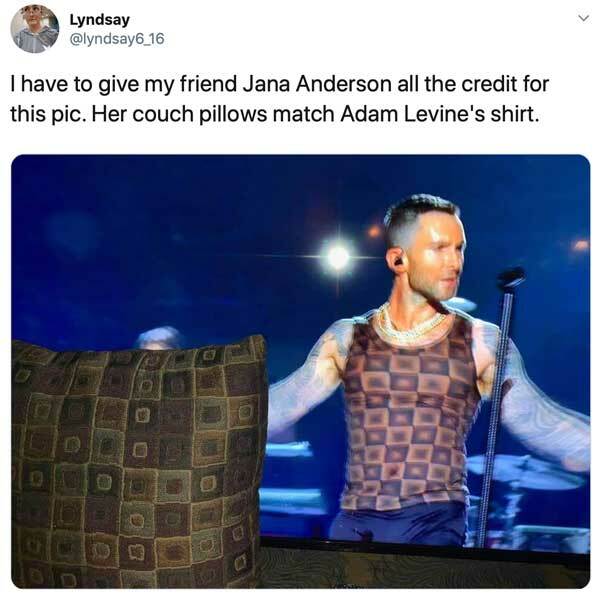 #10 Retro brown squares is apparently a very popular pattern. 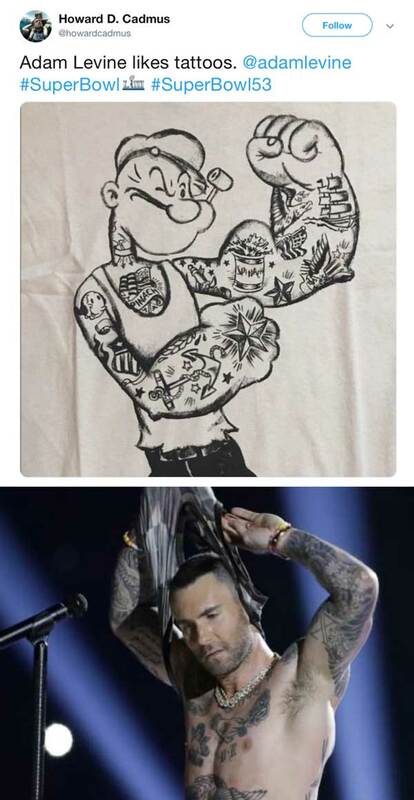 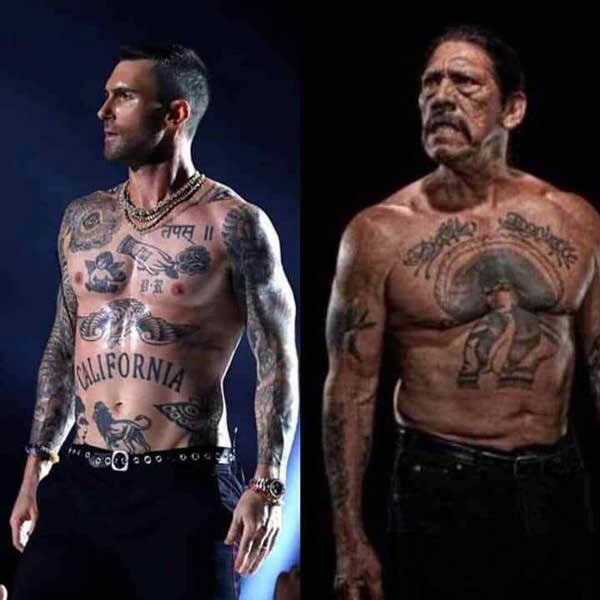 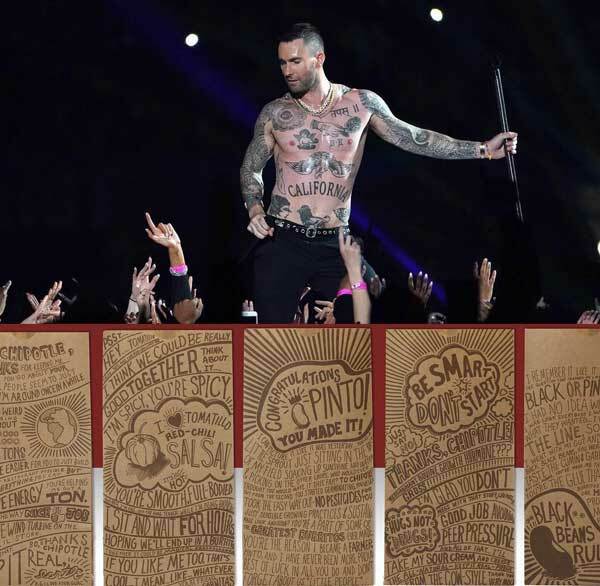 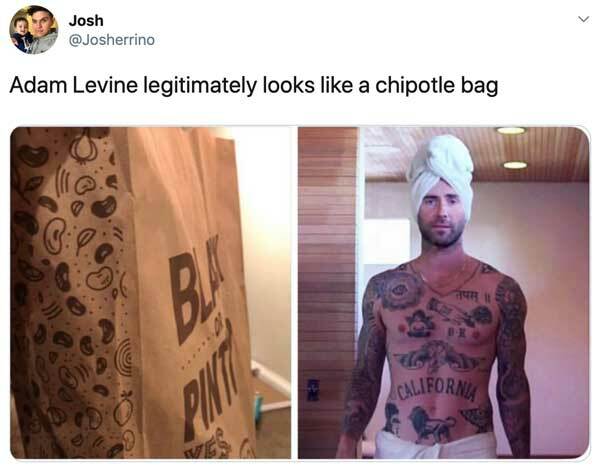 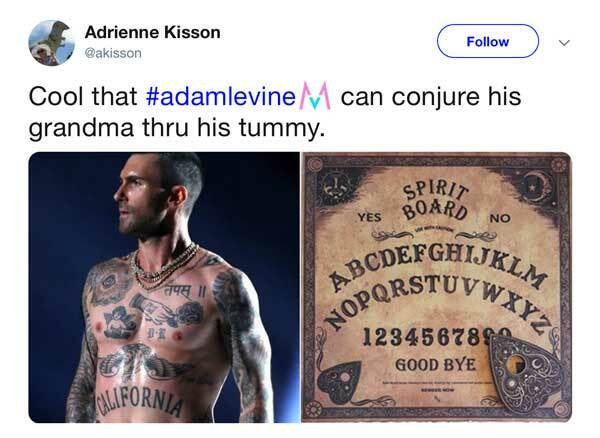 #11 Aside from home goods, shirtless Adam Levine drew a lot of comparisons to Chipotle bags. 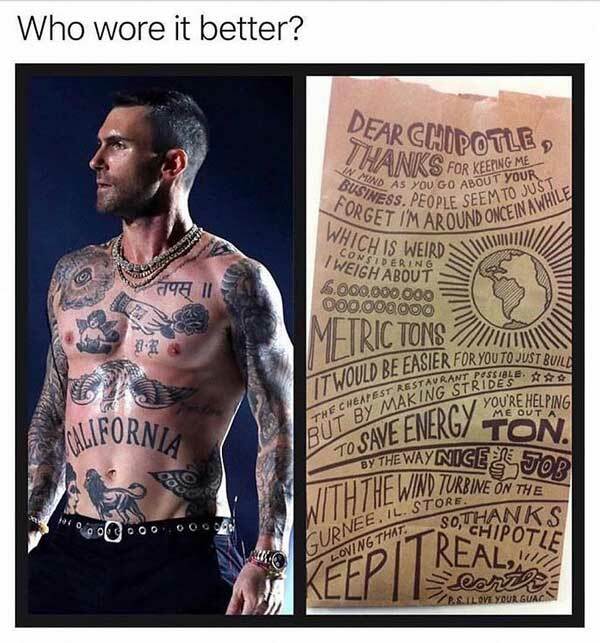 #12 Who wore it better? 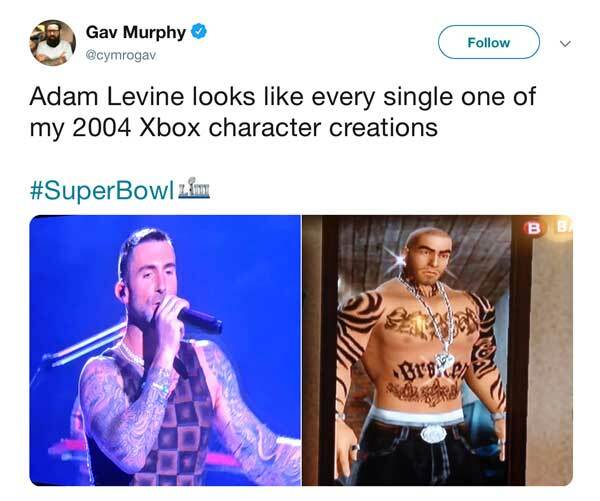 #15 A custom Xbox character from 2004. 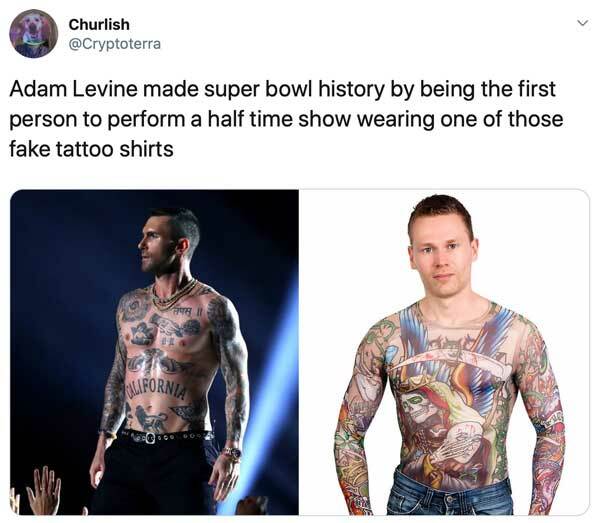 #16 One of those fake tattoo shirts. 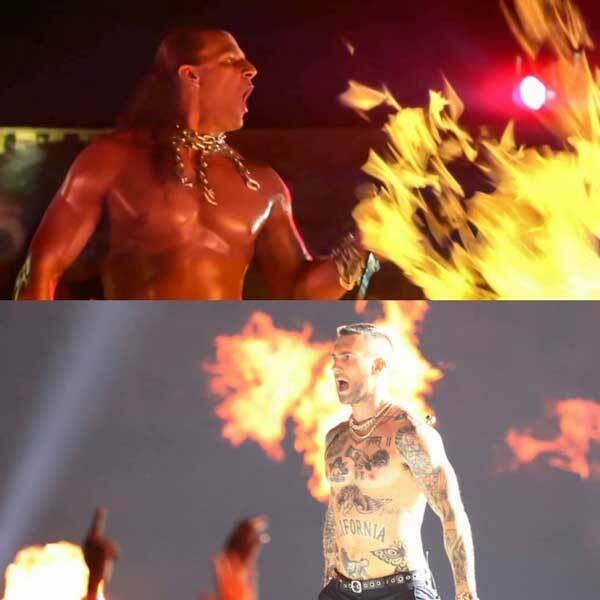 #17 The performer from the movie The Lost Boys. 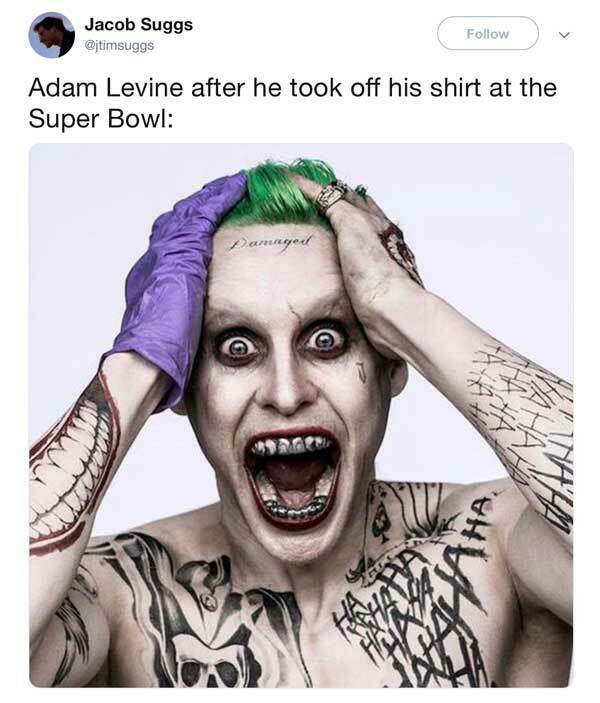 #19 Jared Leto as the Joker. 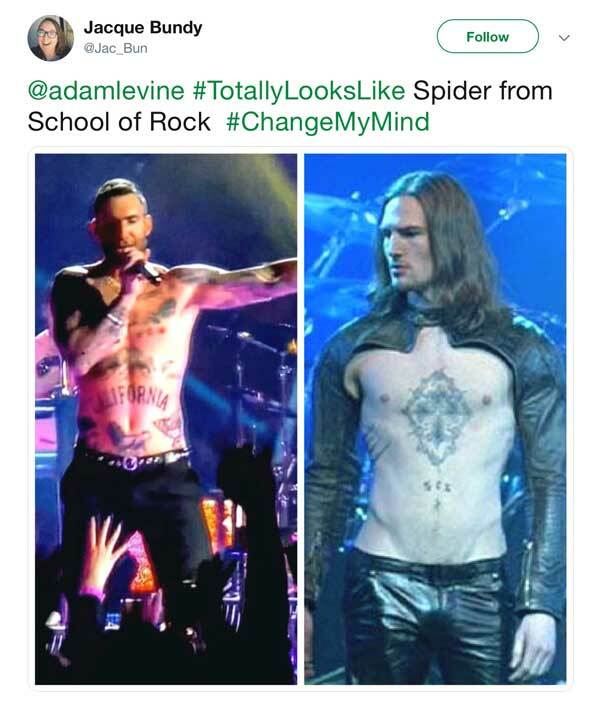 #21 Spider from School of Rock.